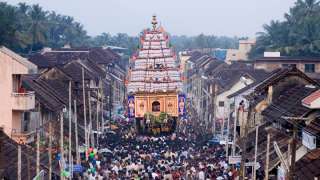 Apart from the countless riches in its now renowned hidden vaults to the sheer genius and magnificence of both its interiors and exterior, there are myriad other reasons why people throng in great numbers to the Sree Padmanabhaswamy Temple in Thiruvananthapuram. 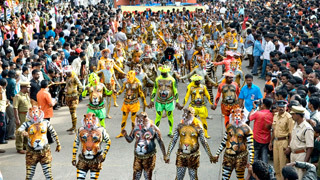 One such great event is the Alpasi Festival, which usually falls in either October or November each year. 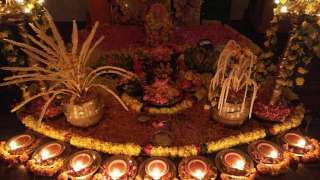 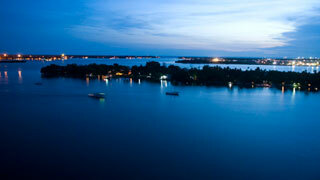 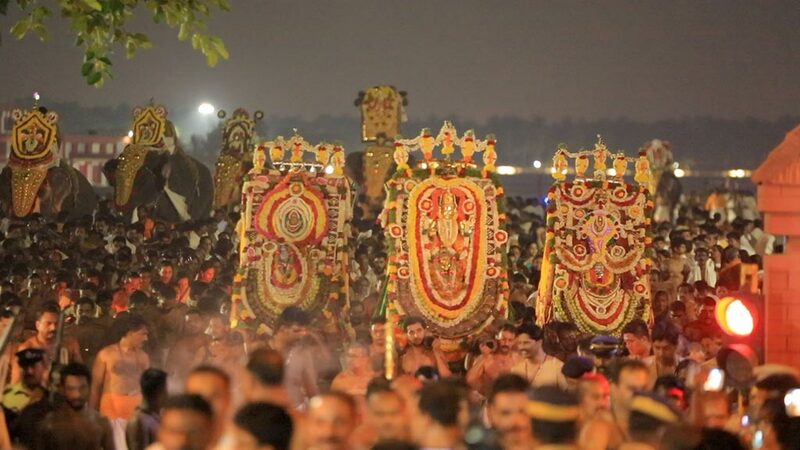 Its magnificent Aarattu ceremony, the holy bath in the sea for the deities, is the primary attraction. 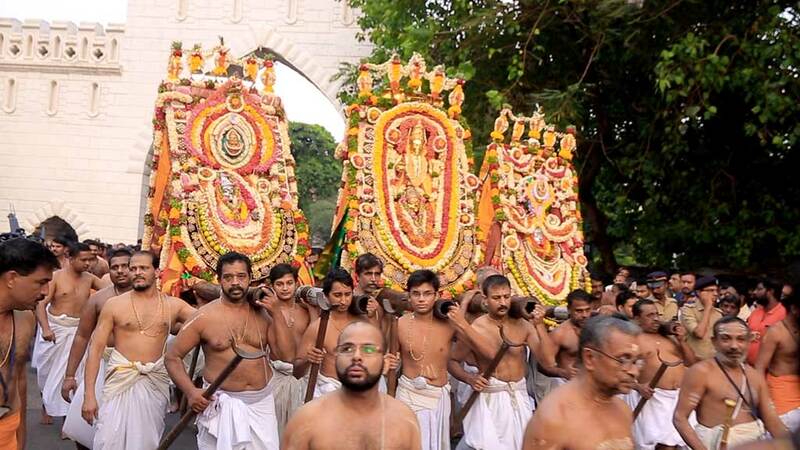 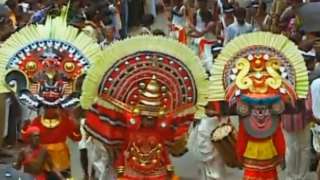 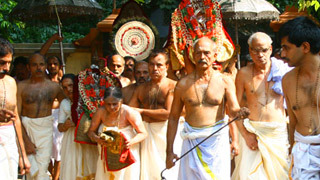 A large procession starts from the temple and proceeds to the Shanghumugham Beach, with the head of the Travancore Royal Family leading the procession, sword in hand. 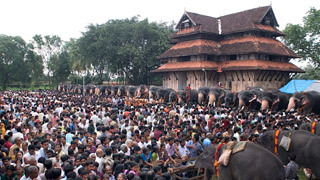 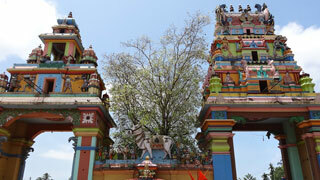 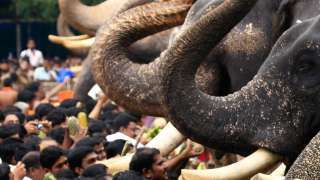 One gets to see caparisoned elephants, mounted police and columns of armed police as thousands of faithful devotees flock the streets to view this unique and historic sight.